The International Olympic Committee (IOC) views the creation of the International Day of Sport for Development and Peace as a significant step forward in the acceptance of sport as a tool for positive societal and individual change. The United Nations has long recognized the contribution of sport for development and peace, and collaboration between the IOC and the UN has played a central role in spreading the acceptance of sport as a means to promote the Millennium Development Goals as a whole. Although the two organisations have very different roles in society, they share some core values. As UN Secretary-General Ban Ki-moon said in his keynote address to the 2009 Olympic Congress in Copenhagen: “Olympic principles are United Nations principles.” . The roots of IOC-UN collaboration reach back to 1922, when the IOC signed a collaborative agreement with International Labour Organisation (ILO), an entity created as part of the Treaty of Versailles to promote social justice. De Courbertin and Albert Thomas, the ILO’s first leader, agreed that their organisations would jointly promote the creation of local sports committees “to be composed of representatives of the public authorities, of employers’ and workers’ organisations, and of cooperative associations for coordinating and harmonizing the activities of the various institutions providing means of recreation.”  That initial effort to make sport more accessible to workers led to other initiatives, including projects to promote physical education and access to sport. When the ILO became a specialized agency of the UN after the latter’s creation in 1945, the pioneering partnership expanded to other UN agencies, funds and programmes. A series of actions and events helped raise the profile of the role of sport as an instrument for positive change. In 1952, UNESCO highlighted sport’s role in education. Seven years later, the UN Declaration on the Rights of the Child recognized every child’s right to play and recreation, and called on public authorities to promote that right. In 1978, UNESCO declared sport and physical education a fundamental right for all in adopting the International Charter of Physical Education and Sport. The 1970s brought increased attention on the rights of women, including their right to sport. Dismantling gender barriers to participation in sport is intrinsically linked to development because it empowers women to take a more active role in a wide range of activities beyond sport. In 1978, UNESCO described sport and physical activity as a “fundamental right for all.” A year later, the General Assembly’s adoption of the Convention on the Elimination of All Forms of Discrimination Against Women affirmed the right of women to participate in “recreational activities, sports and all aspects of cultural life.” The Beijing Platform for Action, adopted by the Fourth World Conference on Women in 1995, struck another blow for gender equality by advocating equal access to sport for women and men. All of these UN actions were fully aligned with the Olympic Charter’s declaration that “the practice of sport is a human right” and that “every individual must have the possibility of practicing sport, without discrimination of any kind.” The IOC opened doors for women long before most regions of the world accepted the idea of gender equality. Women began competing at the second modern Olympic Games in 1900 — well before they gained the right to vote in any industrialized nation. 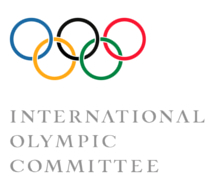 This long history of collaboration between the IOC and the UN culminated in the General Assembly’s decision in 2009 to grant the IOC UN Observer status. Of course, sport’s value as an instrument for development and peace is not measured by resolutions, appointments and meetings, but by what happens in the real world, in places like Lusaka, Zambia, where the IOC opened its first Olympic Youth Development Centre in 2010. The facility, supported by the Zambian government, the National Olympic Committee of Zambia and six International Federations, offers training for athletes in six sports, as well as educational programmes, health services and activities for the entire community. Work on a second Olympic Youth Development Center is underway in Haiti. In the Osire refugee settlement in central Namibia, the IOC launched a three-year initiative with the UN High Commissioner for Refugees to engage young people through sport to reduce teenage pregnancies, HIV/AIDS and drug abuse. AIDS awareness and prevention is woven throughout the IOC’s activities. In Gatumba, Burundi, near the border with the Democratic Republic of Congo and the site of a horrendous 2004 massacre, an IOC Youth Sport Centre eases ethnic tensions and provides athletic facilities and educational programmes to more than 10,000 young people. The IOC has also been active in using sport to advance the Millennium Development Goals and to combat non-communicable diseases (NCDs). The high-level meeting of the General Assembly on NCDs in 2011 offered a strong affirmation of sport’s contribution to public health. The World Health Organisation reports that 36 million or 63 percent, of the 57 million deaths worldwide in 2008 were due to NCDs. If current trends continue, the annual death rates from NCDs will soar to 55 million by 2030. . Nearly half of NCD-related deaths are caused by cardiovascular diseases, followed by cancers, chronic respiratory diseases and diabetes. Engaging in sport and regular physical activity is one of the most effective ways to avoid those ailments. The IOC’s annual celebration of Olympic Day, which commemorates the founding of the modern Olympic Movement in June 1894, encourages people of all ages and abilities to become more active. Every year, millions of people in countries around the world participate in a wide variety of Olympic Day activities, from 10-kilometer runs, to group exercise sessions, to tricycle races. Some countries have incorporated Olympic Day activities into the school curriculum. Others have added concerts and exhibitions to the sports activity. The new International Day of Sport for Development and Peace builds on the Olympic Day tradition by drawing world attention to the contribution of sport and physical activity to human, economic and national development; to gender equality and the empowerment of women and girls; to education and cultural understanding. It will encourage more investment in recreational and sports infrastructure — safe playgrounds, recreational centers, skating rinks, football pitches and other facilities. It will lead to more opportunities for people to experience sport and recreational activities, including many who have never had that opportunity. The International Olympic Committee strongly supports and fully embraces the goals of the International Day of Sport for Development and Peace, and looks forward to celebrating it on 6 April 2014 and every year thereafter.